Hop on your bike and ride over to visit and hang out. The bike lane passes right in front of our shop! 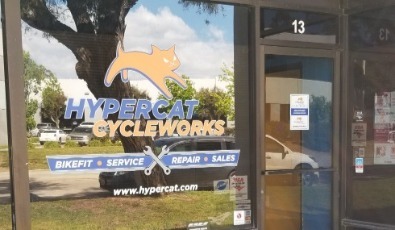 If you are driving over, there is plenty of street parking in front of Hypercat on Market Street, as well as parking to the side and rear of the building. You can also get in touch via the info below. We look forward to seeing you!